I hear it all the time from new Christians–they’d recently obeyed the call to come to Jesus, but now they’re asking themselves, now what? 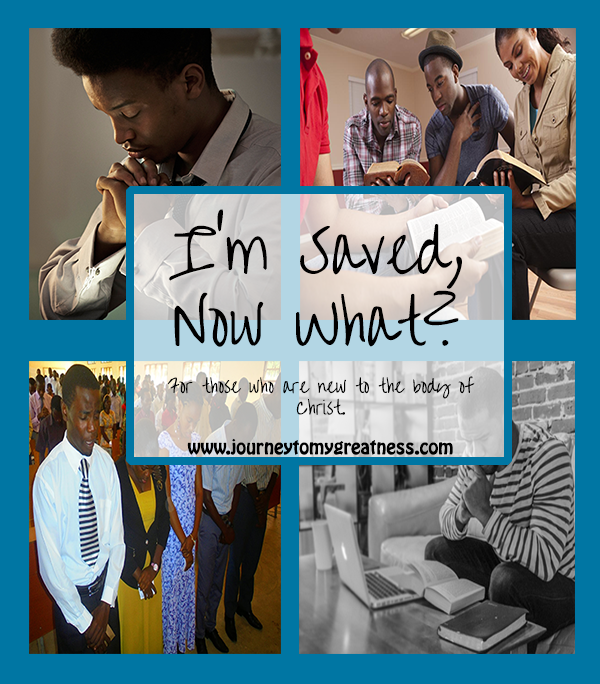 The next steps the new Christian takes, after receiving salvation, is totally up to them. The bible doesn’t explicitly spell out what the new Christian should do after being saved. Many houses of worship have new Christian programs designed to help new Christian begin their walk with Christ, but many people come to know Jesus outside of the church and religious gatherings. What about those individuals? The most logical first step is to find a bible based church whose members personalities are compatible with your personality. The church is more than a building, it’s the people. Being with like minded people who you like make a tremendous difference in your spiritual growth. Another logical step you can take is sharing your “come to Christ” experience with others. Sharing Jesus with others help them come to know Christ. New believers come from different backgrounds and every walk of life, the things you can do after being saved is as diverse as Christians. You may feel overwhelmed by what you should do next. Praying always helps. Ask for guidance and follow the Holy Spirits leading when choosing your steps. If you are feeling overwhelmed by what you should do next. Praying always helps. Ask for guidance and follow the Holy Spirits leading when choosing your steps. It is crucial that you regularly gather with other Christians. Fellowshipping with other Christians is really what church is all about. If attending church isn’t your thing. Look for small Christian groups that meet-ups in your local area or online. Whether you choose a traditional church setting or some other method of fellowship, make sure it’s based on biblical truth. If something isn’t right the Holy Spirit will let you know. You will have a lot of question about everything Christianity, and that’s great. God wants you to ask questions and seek answers. Developing friendships with other Christians is a great way to get your questions answered and to learn about Christian life. Don’t be discourage if all of your questions aren’t answered. God is infinite and sometimes it’s impossible for our finite minds to grasp the mysteries of God and His Word. As with any relationship, new and otherwise, it’s vital that you spend quality time with God. This is the second hardest things for most new Christians to do, and unfortunately, many fall because they didn’t take the time to get to know God on an intimate level. Devote time to spend with Jesus daily. This can be in the form of quiet time or meditation. Prayer and bible reading (studying) are essential activities done during this QT with God. Prayer is the way Christians communicate with God. Reading the Word is the way the Christian really get to know God. As a new Christian, the pull of your old life will be strong, like Lot’s wife, the new Christian may want to turn around and get a glimpse of their old life. The hardest thing for the new Christian to do is spending time with people from their old life who engage in sinful behaviors. This can tempt the new believer to sin. Surrounding yourself with people who love the Lord who taking their Christian walk serious will help you stay on the straight path. Surrounding yourself with people who love the Lord and are taking their Christian walk serious will help you stay on the straight path. This may mean you’ll have to stop hanging out with some of your old friends, at least for awhile, until you are stronger spiritually. If you have to end friendships, love those you are leaving behind and pray for them. Don’t judge them or put them down if they are still in sin. If you decide to still see old friends, tell them that Jesus has changed your life and can’t do the things you used to do. If they are a true friend they will respect you and your faith. Fellowship with other believers, ask questions, seek answers, spend time with God, pray, read your bible, don’t become entangle with sin, are all great step to take after accepting Jesus into your heart. Find what works best for you and your spiritual growth. 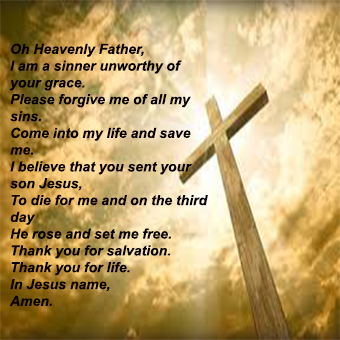 If you don’t know Jesus as Savior and Lord, but you hear Him knocking at the door of your heart and you want to know Him, all you have to do is say this prayer and believe the words in your heart your heart then salvation is yours and the transformation begins. Welcome to God’s holy family. Be on the lookout for our weekly bible study, daily devotionals, inspirational videos, freebies, giveaways, and so much more. I’d love to hear from you, leave a comment. Spiritually Selected: Called. Chosen. Faithful. JTMG Celebrating Black Fatherhood: Paul Felts Jr.